On Monday, November 23 from 12 p.m. - 4 p.m., Ann Taylor will kick off this season’s holiday spirit with a Cashmere & Cocoa shopping event. 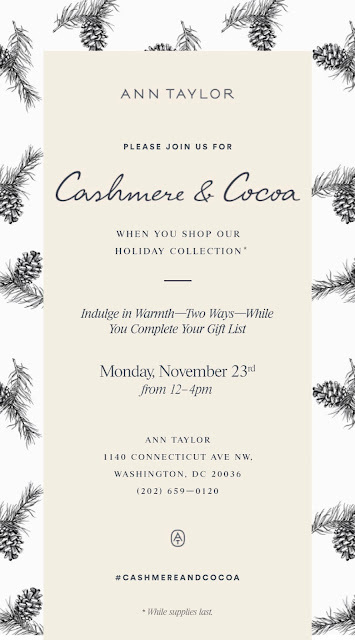 Open to the public and in celebration of their new holiday cashmere collection, steaming cups of hot cocoa will be handed out directly outside of the DC Connecticut Ave. store (1140 Connecticut Ave. NW) with a special 20% off code. 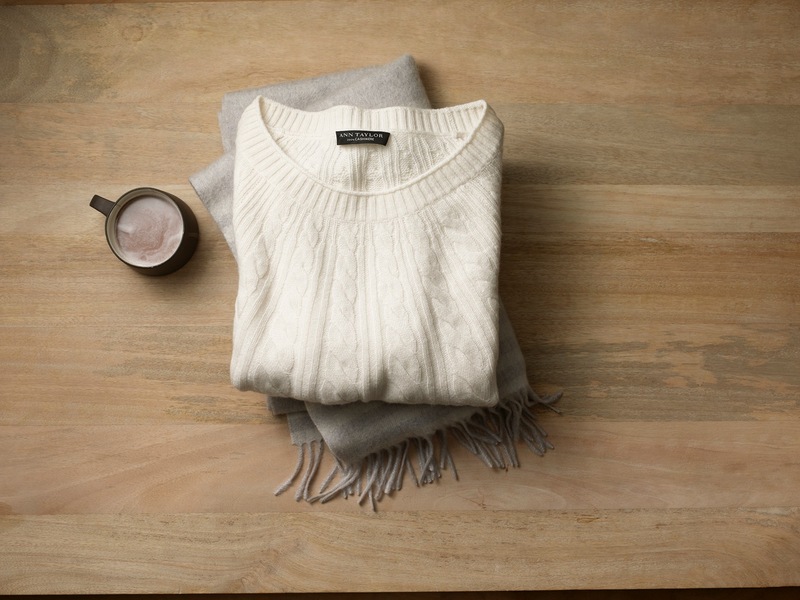 The code will be redeemable for cashmere purchases - ranging from sweaters to gloves - in store. 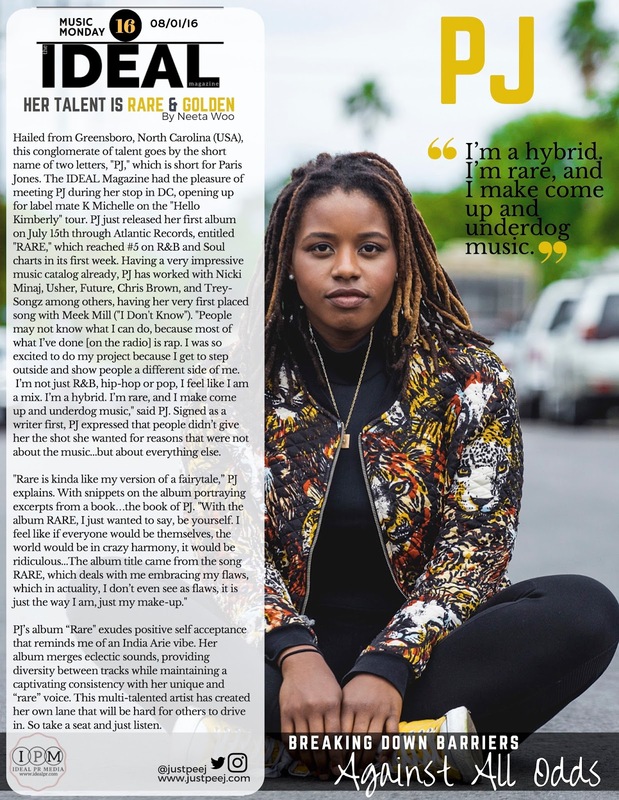 A special thanks to Hafsa at MoKi Media for keeping Ideal PR Media in the loop!